A guardianship is a legal relationship created when a person or institution named in a will or assigned by the court to take care of minor children or incompetent adults. Sometimes called a conservator ship. To become a guardian of a child either the party intending to be the guardian or another family member, a close friend or a local official responsible for a minor’s welfare will petition the court to appoint the guardian. The guardianship of a minor remains under court supervision until the child reaches majority at 18. The judge does not have to honor the request when someone is named in a will as guardian of one’s child in case of the death of the parent, it is construed as a preference, but is usually honored. The term “guardian” may also refer to someone who is appointed to care for and/or handle the affairs of a person who is incompetent or incapable of administering his/her affairs. Guardians must not benefit at the expense of those they care for (wards), and in many cases are required to make accounting to the court on a periodic basis. In some courts, a guardian may be reimbursed for attorney fees related to the guardianship. Court rules regarding accounting of expenses and requirements of guardians vary and local court rules should be consulted. In some states, if the child is a certain age or older, the court must appoint the person nominated by the child unless the court finds the nomination contrary to the child’s best interest. The court may not appoint a person against whom the child has filed a written objection. In adult guardianship, the judge is often required to make a reasonable effort to consider the preference of the person with a disability in selecting the guardian. The judge typically does not have to follow the person’s wishes, but must give due consideration to the preference of the person with a disability. Laws vary by jurisdiction, so local laws should be consulted for specific requirements in your area. Please click the questionnaire to the left and take a few minutes to fill it out. 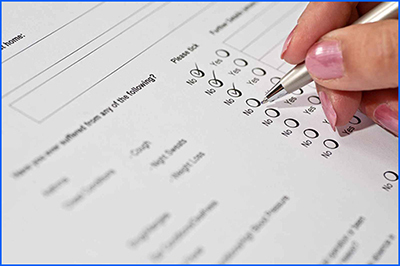 All questionnaires are read immediately and we’ll reply to your questions within 24 hours either by phone or email and you can always email us at info@nikkiurilaw.com at any time. If you’re not able to fill in the form with your current PDF editor then click below and install the Adobe Acrobat Reader for free. Simply click on the yellow install now button. Please fill out the form below if you have any questions or comments. Disclaimer: The information you obtain at this site is not, nor is it intended to be, legal advice. You should consult an attorney for advice regarding your individual situation. We invite you to contact us. Contacting us does not create an attorney-client relationship. Please do not send any confidential information to us until such time as an attorney-client relationship has been established.